In the current trend and the growth of modern technology, millions of users are looking for outsourcing to complete their small tasks easily and rapidly. A marketplace website assists users to hire service experts for home projects such as electrician, cleaners, laundry and so on at cost-effective prices and get quotations to complete their task with preferred service providers. Many entrepreneurs achieved huge success rate and gain more profits via the marketplace. Due to increasing popularity and endless business opportunity, entrepreneurs are looking onward to pitch out their idea into action in the online marketplace industry. Yet they are still facing some challenges in bringing out their innovative idea to work out via service marketplace. 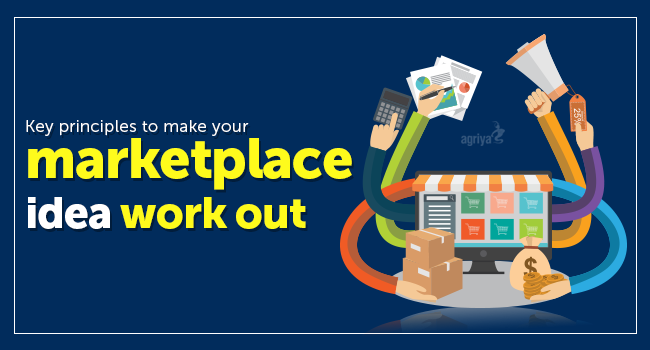 Let us see some major principles how to work out your ideas in the online marketplace. Marketplace structures are classified into three different versions. Each model has specific challenges and capability to face your challenges in a seamless way. Entrepreneurs must focus on choosing the right monetization model, which has listing services, reputation services & services, and fixed pricing & guaranteed service that helps you to work out your ideas in your marketplace. Taskrabbit clone will be a perfect option to satisfy your customer demand and figure out your ideas in their marketplace with identity, privacy and social trust to build assets in your marketplace. It’s really hard for you to manage numerous things in your marketplace and know what is working. So, you must focus on doing one thing very well and make it your niche. Further, starting with your targeted niche comes with consumer generated content, Facebook marketing, online communities, content marketing and build marketing efficiencies that drives growth and profitability in your marketplace. It helps you find opportunities to customize products and services in your marketplace to the narrow interests of each niche. You can create a loyal customer base with all the benefits and stuffs such as revenue streams, lifetime value and word of mouth advocacy in your marketplace. Knowing about your worthy customers is secret of success to work out innovative ideas in your marketplace. You must learn how to find out who matter for your success. Entrepreneurs must focus on the supply side of the market rather than concentrating on stoking demand. Start off with a core of the design community and how customers identify as quickly. Spotlighting on narrow offering it will be much simpler to take the supply. Leverage on existing market would certainly make sense to focus on bringing in the demand side to your marketplace place, before concentrating heavily on supply. Whatever may be your marketplace must go far beyond with your ideas. Set primary goal is to create unique platforms for customers and new visitors to collaborate with creations of all forms of visual content. Are you looking to build a marketplace with excellent performance and high functionality then Taskrabbit clone script will be the best option for you. This service marketplace script helps you to create marketplace website with advanced technology within 48 hours. In addition, vibrant software is configured with revenue making options, which enables you to earn more profit in the online marketplace. Also make a keen research about selecting the right thumbtack template for your service marketplace. By following above mentioned principle, entrepreneurs can make their marketplace idea to work out. The best advice for an entrepreneur starting a service marketplace would be to choose right script for their website.